At age twenty-one, Deb Vanasse was dropped by a bush pilot on a gravel runway in middle of the Alaska wilderness. No roads, no houses, no cars, no people—only a winding brown slough and tundra spread flat as prairie. She had come not for adventure but to live, an isolating but enriching experience that inspired this novel. Between her mountain home and glacier-based cabin, she continues to enjoy Alaska’s wild places. The author of more than a dozen books for readers of all ages, she is co-founder of the 49 Alaska Writing Center. Deb Vanasse's book Out of the Wilderness is about two brothers, their father, and their constant conflicts. That would make for a rather normal story if the conflicts didn't take part in the 'middle of nowhere,' surrounded by forests and bears. Josh would simply like to live a normal life in a town, go to school, hang out with other kids and also have a girlfriend. However, his father always does what his other son, Nathan, wants. And Nathan wants to live out in the wilderness. When Josh kills a bear during a hunting trip, Nathan becomes even stranger and moves away from their cabin. The outdoors become harsher in winter and Nathan's love for bears suddenly grows into an obsession that turns everyone's life around, especially when a girl comes into their lives. 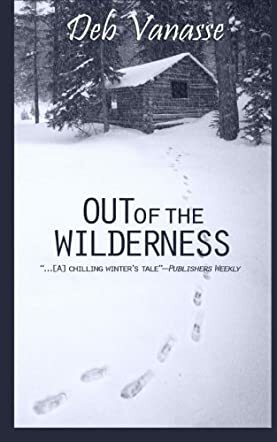 Out of the Wilderness was an enjoyable read. I just wasn't too sure about the end. It kind of didn't feel like an end to me and I wasn't too satisfied by it. Apart from that, the book was very well written. It was easy to feel like you were there - the surroundings were beautifully described and the human emotions also came across in a powerful way. It was always clear why the people in the book were the way they were. Each of the characters was unique and had their own motivations - which led to a few clashes, but also to solutions. Deb Vanasse showed that she has a great understanding of human nature and skill in writing beautifully.